Amity Lodge No. 23 is located at 305 S. 100 E. in Brigham City. Its origins tracing back to the stonemasons of the Middle Ages and perhaps much further, Masonry came to Colonial America in the early 1700s and to Utah in 1858, with the dispatch of Johnston’s Army. Early next month, Utah’s Freemasons will hold a statewide public open house in a collaborative effort to share information about their organization—the world’s oldest fraternity—within their respective communities. On Saturday, May 6, Masons from Logan to St. George will welcome visitors to their meeting places, referred to as lodges or temples, between 10 a.m. and 2 p.m. Residents of Box Elder and Cache counties are encouraged to visit <a href=”https://www.facebook.com/groups/732726276820852/”>Amity Lodge No. 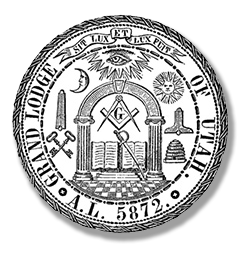 23</a> in Brigham City and <a href=”http://harmonylodge21.org/”>Harmony Lodge No. 21</a> in Logan. George Winters, secretary of the Amity Lodge and former Grand Historian of the <a href=”http://www.utahgrandlodge.org/”>Utah Grand Lodge</a>, said Utah’s Freemasons host the statewide open house annually. Winters said visitors to the Amity Lodge temple will also have the opportunity to view a collection of important Masonic artifacts. These include a red cap worn by <a href=”http://www.wasatchlodge.org/publish/james-jc-penny/”>James Cash “JC” Penney</a>, founder of the J.C. Penney Company retail chain; a hand-forged square and compass set used by Freemasons in Johnston’s Army; several strands of George Washington’s hair; and a <a href=”http://www.knightstemplar.org/KnightTemplar/articles/20100909.htm”>White House foundation stone</a> etched with historic banker’s marks. The stones, he said, were discovered when the White House was renovated back in the 1950s, during President Harry Truman’s administration. Truman, who was a Masonic Grand Master, preserved the stones and presented one to each one of the Grand Lodges across the United States. Each stone was affixed with a small brass White House plaque and accompanied by a letter from the president, framed in recycled White House wood. Whichever Masonic temple they visit on May 6, guests throughout the state are invited to bring non-perishable donations to benefit the <a href=”https://www.utahfoodbank.org/”>Utah Food Bank</a>. Refreshments will be served at some locations, including the Amity and Harmony temples. Amity Lodge No. 23 is located at 305 S. 100 E. in Brigham City. Harmony Lodge No. 21, which is currently being renovated, is located at <span>118 W. 100 N. in Logan. </span>More information about the statewide open house is available at <a href=”http://www.utahgrandlodge.org/”>www.utahgrandlodge.org</a>. Utah's Freemasons will host a statewide public open house on Saturday, May 6, 2017 from 10 a.m. to 2 p.m. Guests are invited to visit any of Utah's participating lodges and are encouraged to bring a non-perishable donation for the Utah Food Bank. 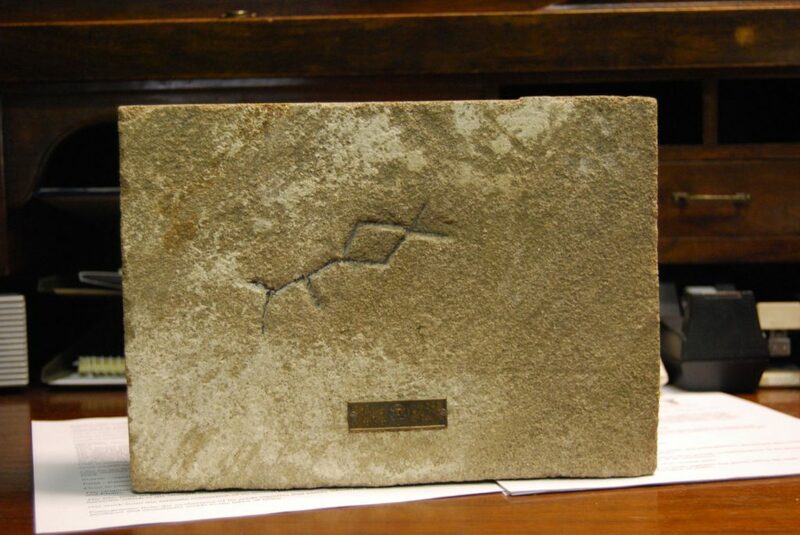 This image depicts a White House Stone that will be on display with other Masonic artifacts at Amity Lodge No. 23 in Brigham City on Saturday, May 6, between 10 a.m. and 2 p.m.